[back] 081; Bryant, Chas W.; Bryant home; corner Jean Rd & Bryant Rd. near Waluga Jr. High. 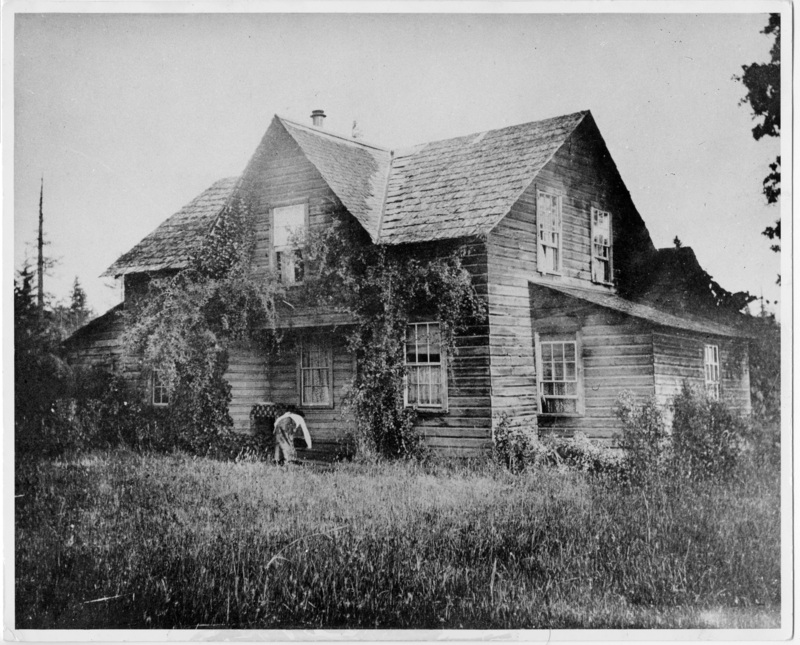 Description This photograph of the home of Charles W. Bryant shows the house in a state of disrepair, with tall grass in the yard and vines overtaking the side of the house. An unknown figure is bent over in front of the structure. Transcription [back] 081; Bryant, Chas W.; Bryant home; corner Jean Rd & Bryant Rd. near Waluga Jr. High.